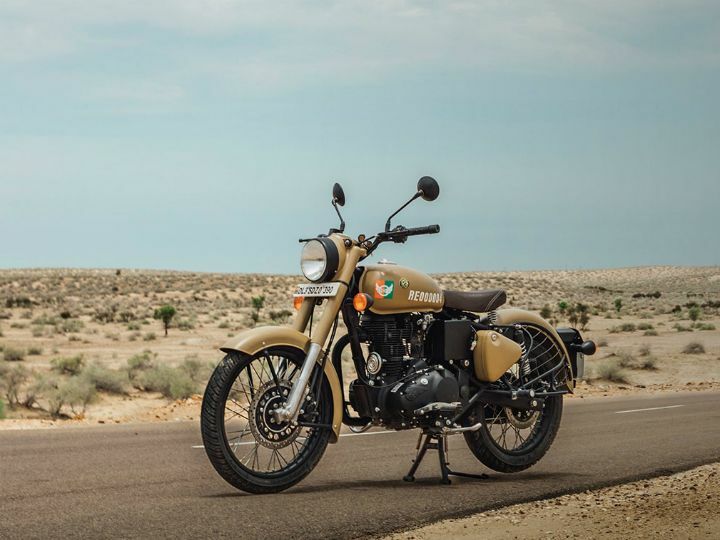 Royal Enfield launched its first ABS-equipped motorcycle in India, the Classic 350 Signals Edition, today at Rs 1.62 lakh (ex-showroom Pune). During the launch event, Rudratej Singh, President, Royal Enfield, also confirmed that other models in the company’s lineup are also expected to come equipped with the essential safety feature in the coming months. More on that later. This move doesn’t come as a surprise, considering the government’s move to make ABS mandatory on all new two-wheelers above 125cc, launched after April 2018. The same mandate will also be applicable for all two-wheelers above 125cc, irrespective of the launch date, from 1 April 2019. While there were rumours of a single-channel ABS being offered across the lineup, apart from the Himalayan and 650cc Twins, dual-channel ABS units make a lot more sense. Particularly since this setup is already available in the international models. Considering its entire lineup comes equipped with dual-channel ABS internationally, it was quite surprising that the Chennai-based manufacturer took so long to roll out the update in India. When asked what caused the delay, Singh cited the increase in input costs as one of the main reasons. He also stated that the company plans to update its entire lineup with ABS in phases, with the possibility of the Himalayan and the Classic 500 being the next in line to get the safety equipment. A marginal price hike over the standard variants is expected for the same. Coming to the newly launched motorcycles, the Classic 350 Signals Edition features the same engine and underpinnings as the standard model. It is still powered by the same 346cc, single-cylinder, the air-cooled motor is mated to a 5-speed transmission. This motor pumps out 20PS of power at 5250rpm and 28Nm of peak torque at 4000rpm. For more on the two new motorcycles, stay tuned to this space.